Days after adding coverage of top-level UK ice hockey, free-to-air sports channel Front Runner TV has confirmed it is to ramp up motorsports coverage, with highlights from the 2016 24H Series to be broadcast this month. 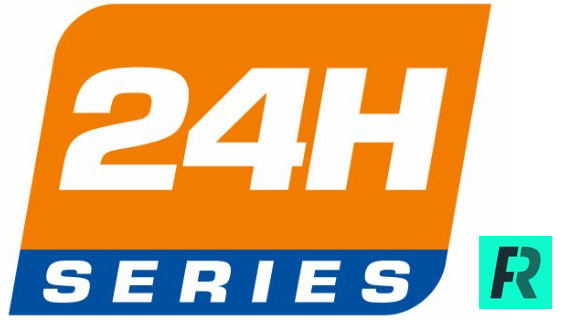 The 24H Series highlights shows will be broadcast on Sundays at 6pm, commencing 11th December 2016 for viewers watching the service on Freeview channel 91. Viewers with YouView-based TV services (BT/Plusnet/Talk Talk) can also access channel 91, subject to local coverage. The highlights will be repeated on Tuesday at 6pm, when it will also be broadcast on the satellite version of Front Runner for Sky viewers. The first instalment will feature highlights from the Hankook 24H Dubai. Subsequent episodes follows racing around the world at the Hankook 12H Italy-Mugello, Hankook 24H Silverstone, Hankook 12H Zandvoort, Hankook 24H Circuit Paul Ricard, Hankook 24H Barcelona and the Hankook 24H Epilog Brno. Each episode will feature Radio Le Mans’ John Hindhaugh providing commentary. The programme has been produced by Creventic, the Dutch agency and promoter of the 24H Series powered by Hankook and 24H TCE Series powered by Hankook. As well as race highlights, the show features trackside interviews with the teams and well-known commenters in the space. “We’re delighted to be offering motorsport on Front Runner, starting with providing a home for these highlights from the exciting world of endurance racing,” said Ryan Scarratt of Front Runner. Freeview viewers have been deprived of much motorsports coverage since the withdrawal of Motors TV from the platform earlier this year. The Freeview signal carrying Front Runner TV on channel 91 reaches around three quarters of UK households, but requires viewers to have a DVB-T2 compatible receiver, e.g. a Freeview HD and/or Freeview Play receiver. BT TV, Plusnet TV, TalkTalk TV (based on YouView) are hybrid platforms that piggyback on the Freeview signal for channels such as Front Runner TV. EE TV receivers also receive the terrestrial version of Front Runner, subject to coverage. The service on Freeview (and therefore also those platforms that piggyback on Freeview) varies to the version of Front Runner carried on satellite (i.e. the version that is fed to Sky and Freesat homes that also includes Greyhound racing). Freeview coverage can be checked on the official Digital UK coverage checker.